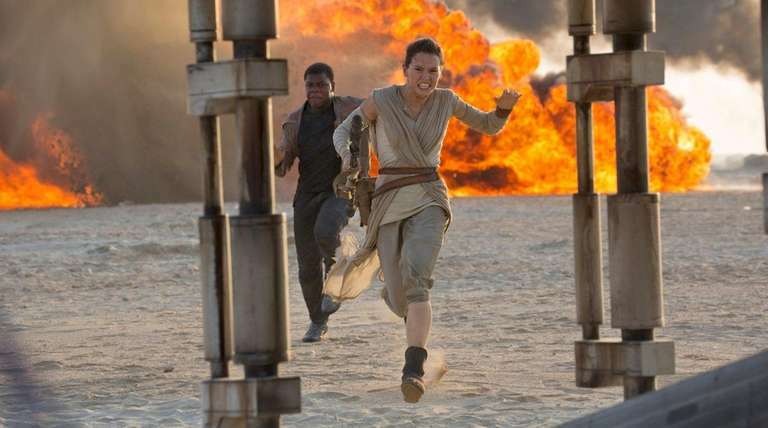 Box-office records keep piling up at warp speed for “Star Wars: The Force Awakens,” the long-awaited seventh movie in the science-fiction franchise. On Tuesday, the film reached $600 million in North American ticket sales in a record 12 days, far outstripping the 36 it took previous record-holder “Jurassic World,” reports Variety. Worldwide, it has displaced “Iron Man 3” (2013) to become the No. 9 highest-grossing film, scoring $1.22 billion against that Marvel movie’s $1.215 billion. According to Box Office Mojo, “The Force Awakens” has set more than 35 box-office records, including the fastest movie to reach $100, $200, $300, $400 and $500 million. It stands a shot at surpassing current champ “Avatar,” which totaled $2.79 billion in 238 days of release.